Add boiling water (start with 3/4 cup of water and add more depending on how much is needed). Knead it a little with your hands to make sure it is even. You should have a very sticky but quite firm dough. Divide the dough into five. Make a disk with each piece; if they dry up, wet them so it is easier to make the disk. 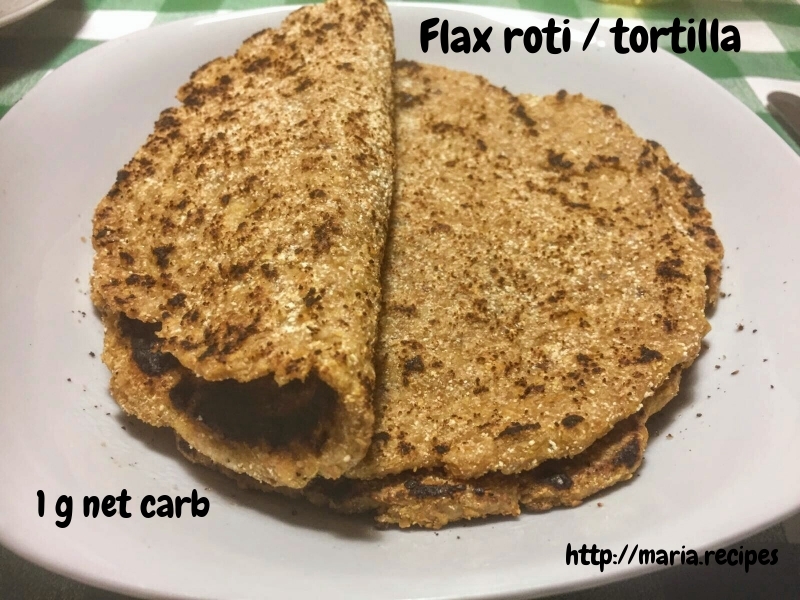 For forming them, you can either use coconut flour and form as you would a normal roti (i used a chakla) or you can put it between plastic wrap and use a rolling pin or press them down into a thin disk of about 2 mm thick. Cook over medium-high heat on a lightly greased pan or tawa for about 2 minutes per side.